The origins of Real Murcia are far from clear. It is taken that the club was formed in 1908 (hence 2008 was our centenary year), but there are serious doubts as to the veracity of this date. At the start of the last century, (without any official documentation of it’s existence) the Association Murcia Foot Ball Club arrived. 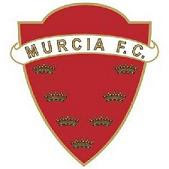 This has no relation, however, the Murcia Foot Ball Club from 1906 founded by the Menoyo brothers. Of these 2, Murcia Foot Ball Club prospered for some years, and the Association version ceased to exist. This club had many difficulties to survive, and faded away at the end of 1919. On the 28th of February 1920, a new society is formed ; Recreativo Levante de Murcia. It is unclear who was the first president, it is thought to be Mr. Ramon Cremades, but there are doubts, but this señor was involved in the clubs creation. 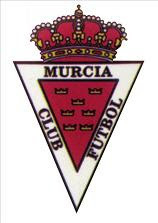 In 1922 the club changes it’s name to Murcia Futbol Club, and in 1923 obtains a royal order to be denominated REAL Murcia FC (the reason for the crown that appears at the top of our club crest). It seems clear that Reacreativo Levante de Murcia was a descendent of Murcia Foot Ball Club (supposedly formed in 1908, but again other dates are quoted), but not 100% the same company, hence the confusion. Thanks to Quique Baeza and his blog.....most info from there.